Is there too much radiation in the Intensive Care Unit? Critically ill patients are often subjected to many CT scans and x-rays, but doctors wonder who's keeping track of when enough is enough? 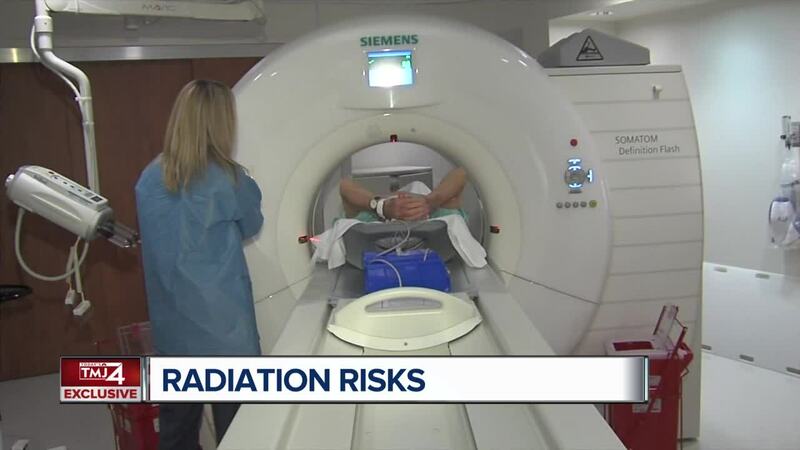 The use of radiation-based imaging has risen dramatically in the past decade. Critically-ill patients are often subjected to many CT scans and x-rays, but doctors like Dr. Sudhir Krishnan of the Cleveland Clinic wonder who's keeping track of when enough is enough? Dr. Krishnan became concerned when he noticed one of his patients had undergone 100 x-rays, "I said, surely someone is keeping track of this. Some regional, local or national authority is keeping track of the amount of radiation exposure a patient typically gets and I realized that wasn't the case. There's nobody." There is a standard federal limit for radiation dosage, but a Cleveland Clinic study revealed something shocking. "Some exceeded a number of more than 100 milisiverts within these six days," Dr. Krishnan said. "By Federal Occupational Standards that dose cannot be exceeded in five years and we have that happening in six days." As patients move from different facilities their records aren't transferred and Dr. Krishnan says that can lead to problems, "Patients could develop a certain kind of cancer because they've been exposed to a certain amount of radiation." X-rays, cat scans, and fluoroscopic surgery are the most common sources of radiation. Dr. Charles Martin, also of the Cleveland Clinic, agrees something needs to change. He suggests, "Improving communication amongst the multiple specialties to see if there's one way to get many pieces of information from one study." Both doctors suggest talking to your doctor about your risk. "If there is no suitable alternative and is absolutely necessary, then one would have to weigh the benefits versus risk and proceed with what's required," said Dr. Krishnan. The Cleveland Clinic is developing a tool that tracks radiation doses and uses electronic medical records as a home for all of the information.